Suzanne has taught group fitness and dance since she was a teenager. She taught her first dance class to a high-school basketball team when she was sixteen because the coach wanted to cross-train the athletes. She loves showing people what their body is capable of if they’re willing to let go of fear and judgement. 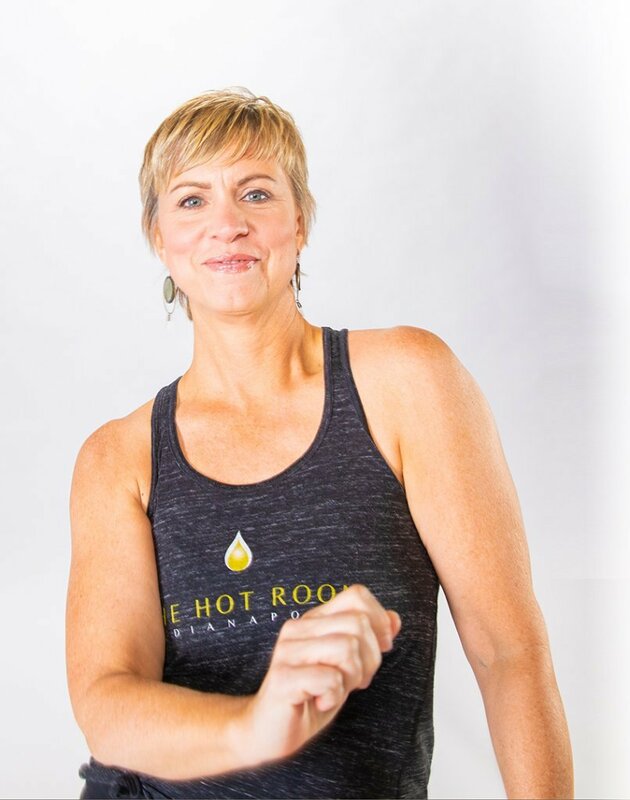 So naturally after practicing at The Hot Room for nearly four years, Suzanne enrolled in the Original Hot Yoga teacher training program and made her way to the podium. Suzanne has a strong passion for restorative yoga and is also certified in Yin Yoga and Yoga Nidra. Half-moon pose with hands to feet pose, because it’s a good gauge of where my body is on any given day. Secondarily, if I do that pose with intention, the rest of my class will feel good. If I go on autopilot through it, I’ll likely be on autopilot for most of the class. Traveling with my family, spending time in California, going to movies, following the news on Twitter, exploring the local dining scene. I received my Master Food Preserver certification through the Purdue University extension program, and I teach people how to make pickles and jam.